Altro supplied1,600sqmof Impressionist II flooring for the stairway and corridor areas at Spanish football club Racing de Santander. The 2mm thick safety flooring, constructed from aluminium trioxide, quartz and silicon carbide, features coloured chips set in a complementary background, enabling adjacent floor and wall finishes to co- ordinate. The coloured chips are fused to the main body of the flooring, said to give improved appearance retention and strength. It contains Easyclean technology and a bacteriostat to minimise the growth of micro-organisms such as MRSA. Some 500sq m of Altro Marine flooring was installed in the shower area. The textured 2mm thick dimpled surface is designed for safety with wet, bare feet or soft soled footwear. Said to be easy to clean, its hard-wearing construction reportedly has enhanced chemical and indentation resistance, for longer life expectancy. Additionally 450sq m of Whiterock hygienic wall cladding was installed in showers, cold water swimming pool room and other wet areas. BASF PCI tilingsystems were used in the refurbishment of Kentish Town’s Victorian Grade 2 listed baths to create a new leisure centre. Tiling contractor Wilson & Wylie used specialist polymer- modified products from PCI, completing the project on time and on budget. The contract involved a tanking and fixing specification for the two new pools, the dry and wet changing areas and pool surrounds as well as refurbishing the existing 33m long pool. This entailed removing existing tiles and rendering and waterproofing the substrate. Falls for drainage were also created on the pool surround, with minimal existing floor levels. High-strength, rapid-curing screed PCI Novoment Z3 was applied to level surfaces and falls. PCI Durafug NT, a polymer- modified, cementitious grout resistant to many chemicals, was used in the swimming pools instead of epoxy grouts, reportedly providing abrasion resistance and similar performance. ege carpets supplied 7,000sq m of carpet for the prestigious Crowne Plaza City Hotel, Blackfriars London. Confidence in the performance and delivery service were reportedly key factors in ege being chosen as carpet supplier for the project. ‘With ege carpets we could create our own design to enhance the hotel’s interior, giving an overall luxurious feel. Their commitment and professionalism was superb and we would not hesitate in recommending them,’ said Paul Berncastle, Crowne Plaza Hotel, Blackfriars, London. The project was completed on time. Gradus hasintroduceda range of premium trims to complement high-end metal finishes in exclusive hotels and residential developments, including luxury floor finishes. The solid brass profiles come in nine metal finishes: Polished Chrome, Satin Chrome, Bright Stainless Steel, Brushed Stainless Steel, Pearl Nickel, Satin Nickel, Polished Brass, Antique Brass and Antique Bronze. Gradus luxury trims are said to be suitable for use with carpet as well as natural floorcoverings such as ceramics or wood, and complement the company’s metal skirtings. Available in ramp or twin top configuration with a choice of bases and heights, the new trims are said to be easy to install, as the tops clip into the bases to accommodate floorcoverings between 8mm and 16mm thick. The new luxury trims range is featured in Gradus’ new stair edgings and floor trims catalogue. Jaymart Interlay interlocking PVC flooring tiles are designed for predominantly loose- lay installations in locations where conventional adhered floorings are not practical or possible. Interlay can be laid over most hard surfaces with little or no surface preparation, says Jaymart. The product is supplied in commercial (soft) and industrial (hard) qualities in two thicknesses and in round studded or leathergrain finishes. A selection of colours is available, including black, an eco-friendly recycled quality. The industrial version is said to be suitable for heavy traffic areas such softer commercial quality for offices, gyms, crèches and schools. A range of translucent tiles in both finishes allows the subfloor below to show through, useful for floor graphics or a floor finish that needs to be seen. Interlay Diamond has the advantages of the standard range but a diamond textured surface and interlocking system designed to make joints between same coloured tiles all but invisible. Interlay Connect Floor, the latest range, has a slate effect surface with ‘invisible’ loose-laid interlocking system, said to appear like a fully bonded floor. Benefits of the range include different commercial and industrial applications; exceptionally hard wearing; slip resistant; oil resistant; good chemical resistance; dimensionally stable; with anti- static and static dissipating variants available. Junckers supplied 14,000sq m of premium Wide Board Black Oak and Jatoba floors for the 60+ story high luxury boutique hotel The Setai Fifth Avenue in Manhattan, New York. Part of Junckers’ Luxury Range, Black Oak and Jatoba planks reportedly add an elegant, warm feel to the hotel’s 157 guest rooms, 57 apartment suites, bar, restaurant, spa and meeting rooms. Described as naturally hard-wearing and durable, the pre-finished floors are also said to be suitable for high traffic areas. accessories were supplied by Ceco Flooring and installed throughout the 1,200sq m multi- purpose hall by J J Hennebry & Son. Compliant to both DIN and EN standards, the Activity Floor is said to provide optimum shock- absorption combined with a low construction height of just 30mm. Each board provides overlapping pressure distribution, with HDF across joints on both long and short sides, whilst resilient expanded foam absorbs energy and eliminates springing. joints between boards and enable the floor to be laid 50% more quickly than an ordinary ‘battened’ sports floor. A durable satin lacquer pre-finish, applied during manufacture, is claimed to give easy maintenance. 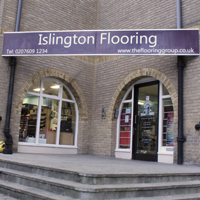 Ultrabond Eco VS90 adhesive was used to install cork tiles and impact rubber matting in the dressing rooms, while Eco Tack was used to fit carpet tiles in the central core areas over five floors, back of house, changing areas, auditorium and seating areas. supplied rolls of Vynagrip slip resistant safety mats for the Royal Horticultural Society’s Glasshouse Nurseries at RHS Wisley. Constructed in 2007, the nurseries are served by four large glasshouses which grow plants for display. The cheap rubber mat originally used on the smooth floors became slippery due to heat, humidity and puddles of standing water from all the water needed for nurturing the tropical plants. Working closely with Plastic Extruders and following several tests, the Royal Horticultural Society chose Vynagrip. Its high profile section enables the mat to straddle standing water while its deep etched surface is said to provide a slip resistant surface, even when soaking wet. This is because the open grid construction encourages quick dissipation and dispersal of water through the surface which is also reportedly resistant to mould, algae, oils and other chemicals. The gentle angled ramp welded to the mat allows plant trolleys and wheeled equipment to be used and prevents tripping. Polyflor supplied150sqm of Tumbled Ochre luxury vinyl tiles from the Kudos PU collection for Napoleon’s casino and restaurant, Bradford. Access Architecture, Elloughton, specified Kudos tiles to complement the rest of the restaurant interior. Kudos PU collection has a polyurethane surface treatment said to improve the floor’s soil resistance and cleanability, reportedly reducing maintenance costs by up to 24%. certification for major use areas (ENP 426). The collection comprises 10 wood designs and 10 natural stone effects in plank and tile sizes. 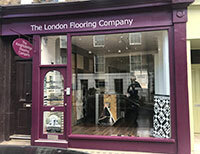 Project Floors,an emerging LVT specialist, claims a strong presence in the hospitality and leisure sectors, focusing on customers’ needs supported by local stock and ‘excellent’ after sales service. Luxury vinyl tiles from the Light Collection are said to resist moisture and ‘will not crack, swell or break’. With a 0.3mm wearlayer thickness, they are designed for hotel bedrooms and bathrooms. offer durability, ease of installation and low maintenance. Project Floors products have reportedly been specified by Accor Hotels, Pizza Hut, Subway, Hooters, Best Western, Radisson and Ramada Hotel Groups, among others. RAK Ceramic’ porcelain tiles and slabs were specified for Radisson Edwardian Hotel, Covent Garden, London. The 6,000sq m installation is part of a £15m refurbishment of the boutique hotel. It follows an earlier RAK installation in the Bijou Bar, at Radisson Edwardian Hotel Heathrow. RAK’s semi-polished metallic Paradox large format tiles were installed throughout public areas, including reception, bar, restaurant and corridors. The luxe finish was chosen to complement the interior designed by Amrit Singh, featuring silk chenilles, ‘leopard’ hide and Japanese artefacts. 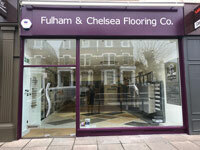 Polished and matt grey porcelain tiles fromthe company’s Lounge range were chosen for the bathrooms. Porcelain slab material was fabricated for the hotel’s feature staircase, vanity units and window sills. The Paradox collection comes in different sizes, in square, rectangular andmosaic formats. Colour options include metallic beige, blue, green, grey and orange. The Lounge wall and floor collection spans ivory to black and includes square and mosaic formats, with polished and matt finishes. A mixed-tone black, grey and ivory mosaic is included in the range. designed for the retail and hospitality sectors where creating the right customer experience is paramount. The flooring has a glass fibre reinforced structure for enhanced dimensional stability, while the 0.7mm wearlayer, with TopClean XP PUR reinforcement, is claimed to give exceptional durability and toughness, even in very heavy duty commercial applications. The surface treatment is designed for extreme resistance to scratches, abrasion, scuffing and staining. No wax or polish is needed for the flooring’s life, meaning low cost maintenance with savings of up to 30%, says Tarkett. A choice of ‘realistic’ finishes are offered, including woods such as beech and maple through to the darker richer, grains of Midnight OakandZebrano. Stone effects include fine- textured marble and warm, subtle sandstone and limestone, while the Design collection has a range of colours and a mix of metallic and natural images, such as grass, leaves and pebbles. 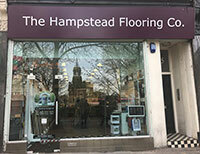 This article is reproduced from the Contract Flooring Journal website. 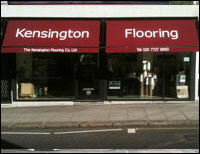 You can visit them at www.contractflooringjournal.co.uk.